Very quiet place is close to the beach, nightlife, family-friendly activities, great views, restaurants and dining. You’ll love my place because of the outdoors space , the comfy bed, the light, the neighborhood, the ambiance. My place is good for couples, solo adventurers, business travelers. 5 minutes from Grand-Bay and only 3 minutes walking to the beach of Pereybere. Enjoy the evening with a nice barbecue. 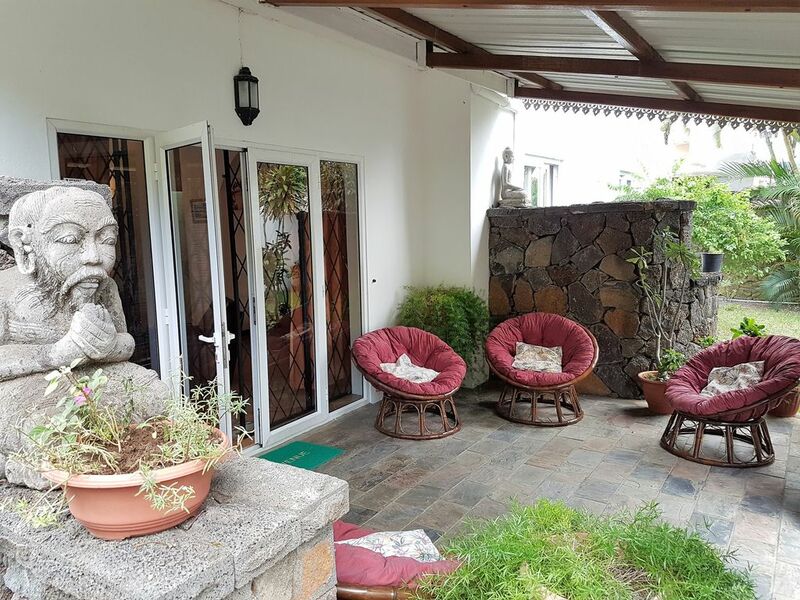 The house is beautifully furnished with 3 bedroom, air condition, kitchen, a bathroom. A wall ensures your total privacy. The house is ideal for a couple, family and friends. The beautiful beach of Pereybere is only 5 minutes driving away from Grand Bay, 3 minutes walking you will find shops, supermarkets, banks, restaurants. We can organize your airport transfer and car rental. We offer many water sports activities, sightseeing, nearby islands visits, snorkeling, big game fishing, cocktail sunset cruise, undersea walk, tube lines, parasailing, dolphin swim, speed boats, catamaran, quad biking, safari, curious corner, zoo, walk with lions, zip-lines among many others. A manager will be there on check in and check out. I may not be on place, but will be available anytime on call,text message, viber, skype, messenger..